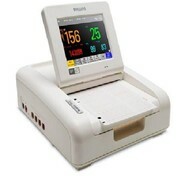 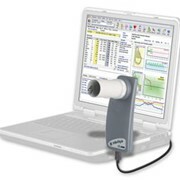 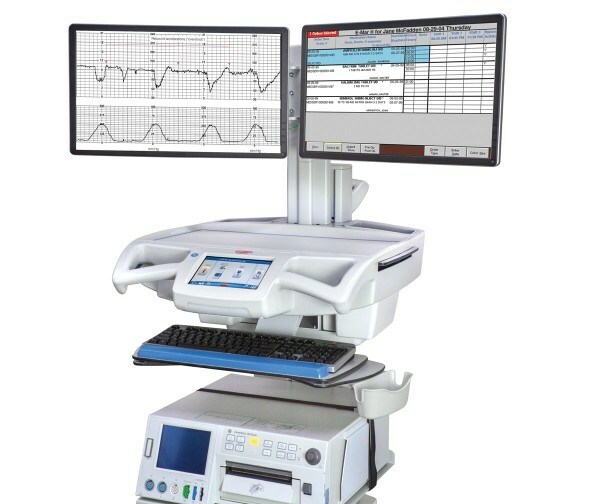 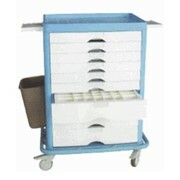 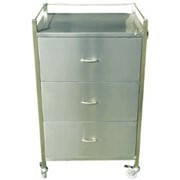 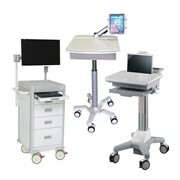 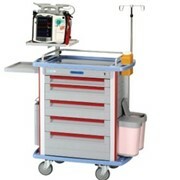 The Fetal Monitoring cart provides both fetal monitoring and a mobile nurse workstation in a single solution. 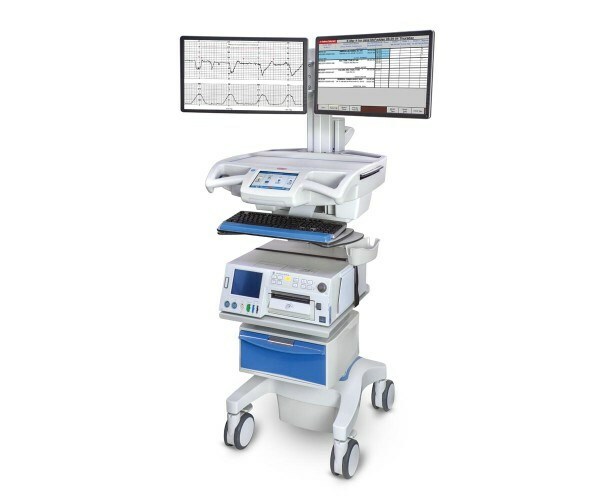 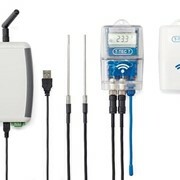 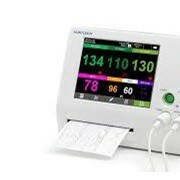 Combining the CareLink intelligent features with your choice of medical monitoring system promotes workflow efficiency in labour and delivery departments allowing clinicians to focus on the care of mothers and their babies. 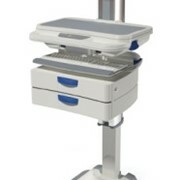 Dual-swivel monitor mount enables information sharing with patients, and easy navigation through hallways. 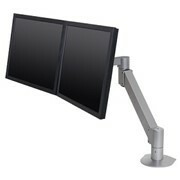 Supports up to 55.9 cm monitors. 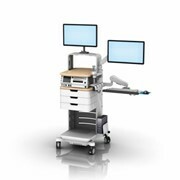 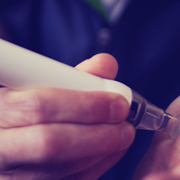 Additional configuration options and accessories are available to meet clinician and facility needs.